About The House at Anzac Parade by Victor Kline: As a child Victor Kline was sexually, physically and emotionally abused by his mother. Despite this, or perhaps because of it, he went on to lead a diverse, exciting and often dangerous life. From medical guinea pig to Federal prosecutor to outback barrister. From provincial France to the highlands of New Guinea to dodging bullets in the Sri Lankan Civil War, The House at Anzac Parade is his story, and the story of his healing. This is a memoir of a good man who has had horrible things happen to him. Call it the luck of the draw but he seems to have been given more than his share. The author bares his soul with his recollections of a cold and rather terrifying childhood at the sadistic hands of his mother. In adulthood, he discovers he has a rare form of cancer. But this is not a gloom and doom book, it is the exact opposite: it's a conversational, uplifting memoir that will inspire and sharpen your resolve to live life to the fullest. Kline lives fast and hard, making his way into law and becoming the youngest barrister in Australia. He starts practicing in Australia's outback and gains much insight into Aboriginal life. Then somehow, he's off to London, then teaching in France, then all the way to singing Chantilly Lace in the jungles of New Guinea and then fighting for the adoption of his daughters in war-torn Sri Lanka. He's been across continents, he's held a variety of jobs, and encountered so many people that have made a difference in his life. Maybe he wants to escape the pain. Or maybe it's because he wants to scoff in the face of the hand dealt to him. One thing is certain: he was not going to have any of it. Wow, this man kicks back ... and hard. 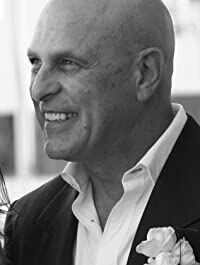 Through it all, the universe conspired to turn the devastating circumstances so that Kline could find strength in some key people in his life, like his grandfather, his wife, and later his Katherine and his lovely daughters. It also conspired to bring about ways so he could help others learn about mental illness, and of the difficulties of foreign adoptions. Nor does he comes out unscathed. Dealing with the hurt and abuse, kicking a deadly disease, having to suffer a failed marriage, and fighting to keep his kids, all these take a toll on him. He discovers healing and serenity in stepping back from his circumstances and taking stock in what truly matters to him. This is what this book is about. That's what sets this story apart: adversity has only made Victor Kline stronger with a greater resolve to continue living life as if each day were his last. I think we could all take a page from this man's book. I cringed a few times throughout the book because of some typos (e.g. shoe in for shoo in, p 133). Verdict: An inspiring memoir that drives home the point that life is meant to be lived to the hilt. I'm humbled that the author has the courage, the humility, and the humour to share his experiences without wallowing in self-pity. I heartily recommend this memoir. Victor Kline started his working life as Sydney's youngest barrister. He worked as a Federal prosecutor in Sydney before going on to become a defence barrister in the Northern Territory in its wild west days. Victor has also worked as a playwright, theatre director and actor off Broadway and in various parts of Australia. As well as New York and Central Australia, he has lived and worked in London, Paris, the South of France and New Guinea. He has returned home to Sydney to become Editor of the Federal Court Reports and Federal Law Reports, and lives with his wife Katharine and a little grey cat called Spud. Check out his website www.victorkline.com or the book's Facebook page. 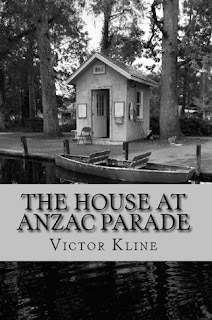 See also Victor Kline's guest post and find out the backstory to his book. I received a copy of this book from the author in exchange for an honest review. Thank you, Victor, it was a pleasure reading your story! This book looks truly compelling, where do you find all of these fabulous books? Also, looks like you tweaked the site? I love it! I was getting antsy again! Thanks, April! Sounds excellent, but a difficult read. Stopping by from Carole's Books You Loved June Edition. I am in the list as #46 and 47.